"It's England’s biggest football match since 1966 today and it's also #WaistcoatWednesday." England supporters on social media are paying tribute to the team's coach Gareth Southgate and his fashion style. Football lovers consider his waistcoat a lucky charm and the Museum of London said it Wanted to acquire the navy blue clothing item to feature among its historical showpieces. 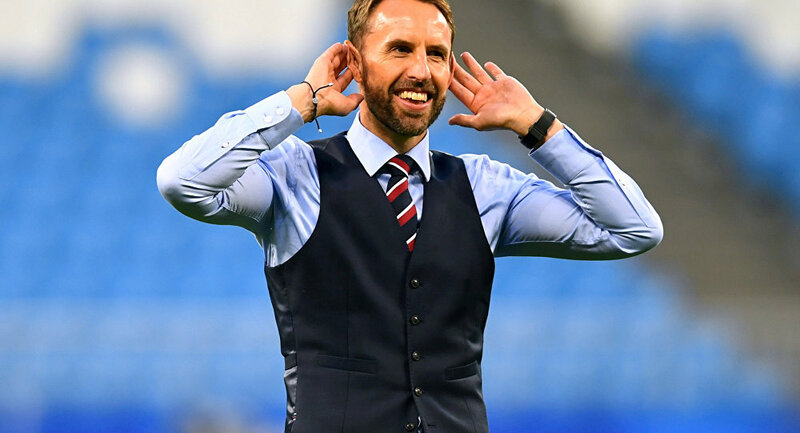 Online retailers started selling the Southgate waistcoat and it also has become a trend on social media. As England prepare to face Croatia in the World Cup semi-final on Wednesday, July 11, users online saw #WaistcoatWednesday among top trending tags. TV personalities, bakers, librarians, national airlines and even feline football fans have taken on Southgate's fashion look in hopes it will bring the English squad one step closer to "bringing it home." Hoping that #England can 'book' a place in the final. If England manages to beat Croatia in Wednesday's match, they will face France in the World Cup final on July 15 at the Luzhniki Stadium in Moscow.